The beautiful Personalised Baby Names Hearts Necklace is a special way to keep your loved ones close to your heart. Two delicate heart pendants, one slightly smaller than the other, are suspended from a fine trace chain. 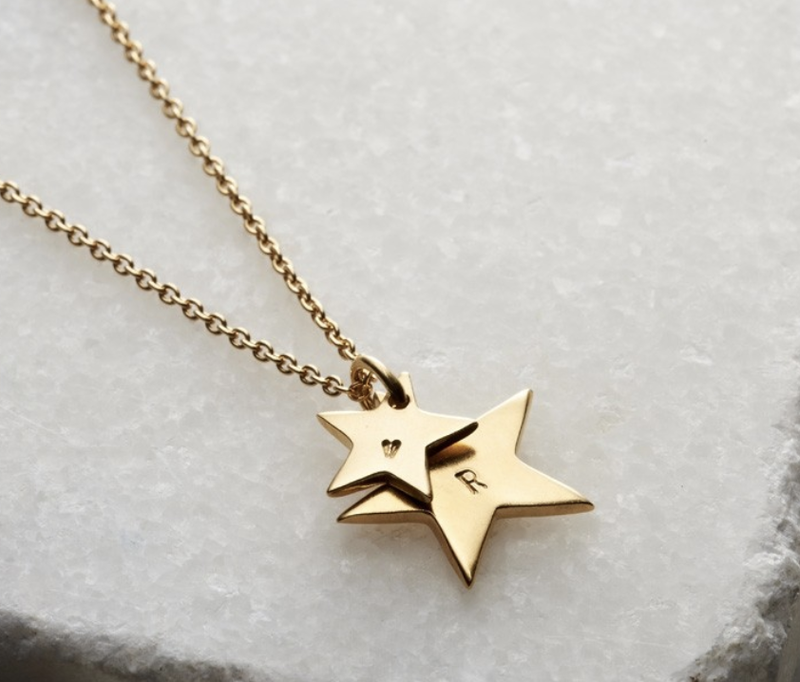 The Personalised Baby Names Hearts Necklace is handmade from solid silver in our Brighton workshop with optional 9ct rose or 9ct yellow gold plating. Each heart can be personalised with your own unique message, up to 8 characters on the larger heart and 6 characters on the smaller heart, making them perfect for personalising with loved ones' names or special dates. The Personalised Baby Names Hearts Necklace makes a wonderful gift for any occasion, especially popular for birthdays, Mother's Day, anniversaries and Christmas. 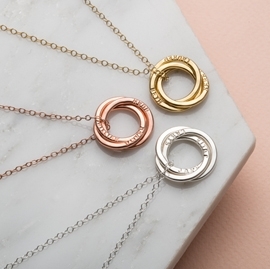 925 sterling silver, optional 9ct yellow gold or 9ct rose gold plating. 18" standard 925 silver chain. Outside diameter of the medium heart - 1.5cm, made from 2mm round silver wire - small heart 1.2cm, made from 2mm round silver wire. Lovely necklace, exactly what we wanted. Top quality necklace. In hindsight though, I wish I’d chose the larger two ring necklace as hearts and engraving a little too small. Beautiful, its just what we wanted and looks fab on! My sister wears her gift every day!